Bali has many beautiful beaches and suitable for your visit, one of the beach tourism located in Jembrana that is Rambut Siwi Beach or locals call it Yeh Embang Beach. 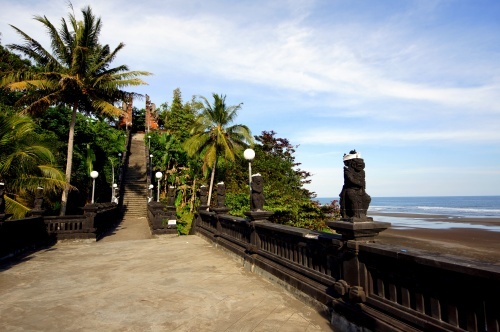 Named with Rambut Siwi Beach because not far from this beach there is a temple building called Rambut Siwi Temple. Rambut Siwi Temple is one of the Pura Dang Kahyangan realms which is nothing but a holy place of Hindus used to honor the holy teachers (Reverend, Omniscient and Empu). While the name of Yeh Embang Beach is taken from the name of the location in Yeh Embang Village. 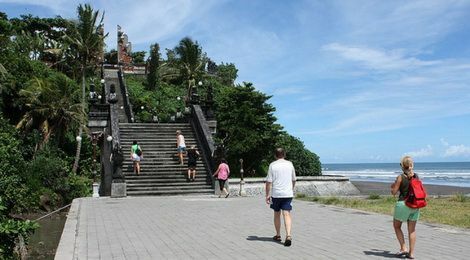 To make it easier to remember the name of this beach then the visitors named it by the name of Rambut Siwi Temple. Unlike Medewi Beach which is already popular among surfers, this beach is still quiet visitors visit. Even so Rambut Siwi Beach has the beauty of the sea combined with the beauty of Rambut Siwi Temple that stood firm and exotic on the edge of the beach cliff. a vast expanse of black sand beaches that can be used for a variety of sporting activities, ranging from jogging, beach football, beach volleyball and others. 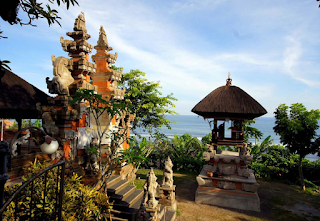 Due to the location of Rambut Siwi Temple right at the edge of the Rambut Siwi Beach cliff, it has a beautiful view of the Indian Ocean Ocean, is quiet, peaceful and filled with spiritual aura. This is what makes this place as the most potential place to meditate and relax. Just like Kuta Beach, Rambut Siwi Beach also presents the beauty of the sunset, but the beach is not as crowded as Kuta Beach. Rambut Siwi Beach perfect for looking for a quiet and comfortable atmosphere and away from urban activity. At sunset, we will see reddish yellow. These moments are most hunted by photographers. When the afternoon, Rambut Siwi Beach will present panoramic sunsets are so beautiful and almost the same as Kuta Beach. Because susanannya more likely to calm, then this beach is perfect for those who seek a comfortable beach tourism and away from the crowd. As soon as the sun will sink, visitors will see a yellow reddish light and this moment while waiting to take photos. Still around the beach area there is an inn that you can make a place to stay overnight and relieve fatigue during the trip. This beach area there is no food stalls that sell food and soft drinks. Therefore, before visiting Rambut Siwi Beach it would be nice to prepare all the necessary supplies. 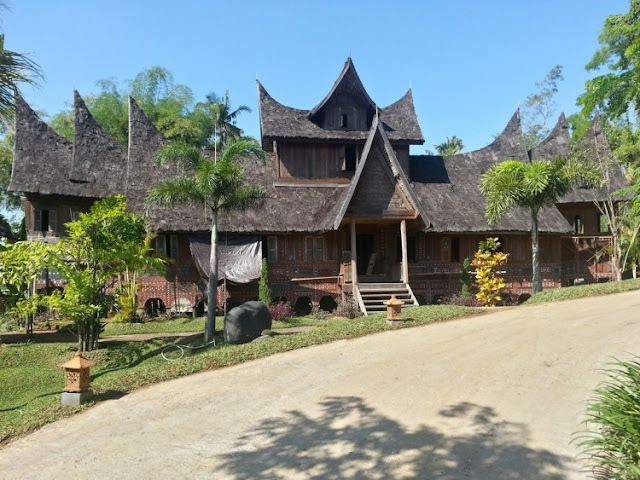 But not far from the beach location, there is an inn for those who want to find the sensation of the sun tenggela and do not want to spend the night on the road when going home. Not far from the Rambut Siwi temple area there is also a rest area ready for use to make you tired for a moment. Rambut Siwi Beach can also be used as an alternative place for a short break after a very tiring journey either from the east (Denpasar) or from the west (Gilimanuk). Rambut Siwi Beach is located in Yeh Embang Kangin Village, Kec Mendoyo, Jembrana Regency. 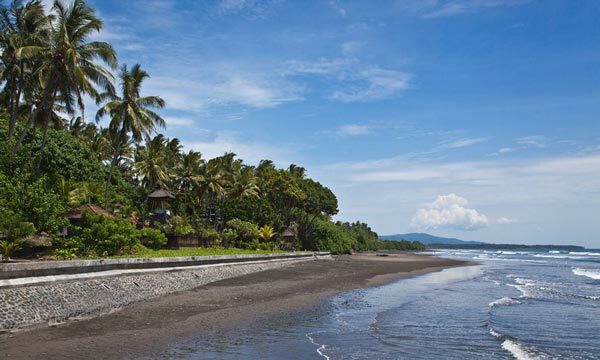 This beach is located in West Bali takes about 2 hours from the city of Denpasar with a distance of 80 km or 30 minutes from Negara City with a distance of 20 km. If you come from Ngurah Rai Airport takes about 2.5 hours with a distance of 90 km. To get to Rambut Siwi Beach is very easy, if you come from the east (Denpasar) just follow the main road to Denpasar - Gilimanuk. After entering Jembrana Regency, You will find a temple on the left side, where most drivers stop their vehicles in this place for a short break or prayer. On the right is Rambut Siwi Traffic Police Station. From the Police Station to the west about 200 meters will find the Candi Bentar (gate shaped temple) on the left and there Sagita inn on the right. By entering the Candi Bentar then you will be directed towards Rambut Siwi beach. Taman Nusa Bali is a cultural park that focuses on Indonesian culture. In this cultural park there is so much information that visitors can get. Many cultures from various tribes in Indonesia. In providing cultural information from various ethnic groups in Indonesia, Taman Nusa Bali provides information interactively. With the aim of facilitating visitors in understanding the cultural information of Indonesia. 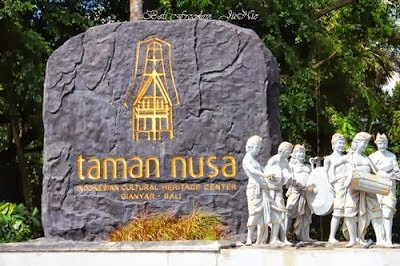 Taman Nusa is an Indonesian cultural park that aims to offer comprehensive information on the cultures of Indonesia’s various ethnic groups in the most attractive and interactive ways, while enjoying the natural beauty of Bali. Its mission is to provide a conservation, didactic and recreative means for both domestic and foreign visitors to accurately understand the depiction of Indonesia. 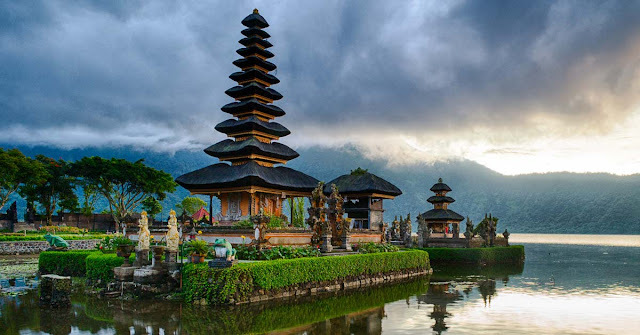 The landscaping of exuberant Gianyar hills in Bali and Indonesian architecture enhance each other harmoniously to form a paradise of breathtaking spectacle. This project is a testament that sustainable environment can be accomplished. Anchored on a cliff, along Melangit river, overlooking verdant hills filled with natural vegetation, senior architects familiar with the progression of Indonesian architecture design the Taman Nusa complex to accommodate unity between nature and edifice. 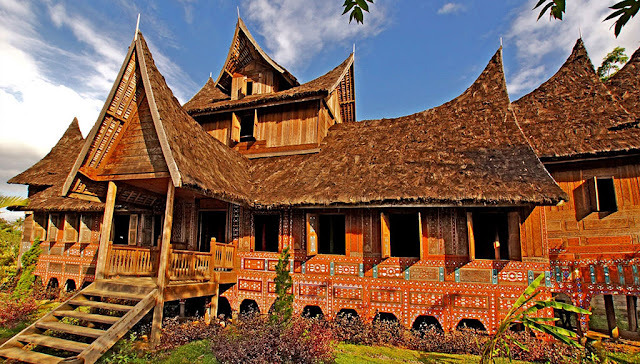 Indonesian architecture can not be defined in a singular form, for each distinct island and region has their own unique identity ranging from one era to another. The ancient vernacular tradition is characterized by post foundations, an elevated living floor and a pitched roof with an extended roof ridge and outward leaning gable ends. The classical heritage of Hindu- Buddhist temples is portrayed in the form of candi, a stone structure raised on a basement and surmounted by a stepped pyramidal roof, ornamented with antefixes and finials. Situated on 15 hectares of land, visitors are invited to experience Indonesia’s journey throughout the ages, beginning with the old and primitive nature of the prehistoric age, then pass through bronze age and towards the kingdom age with one of its masterpieces in the form of Borobudur Temple. In the cultural village, visitors are given the opportunity to experience the modest village life of the diverse and distinct ethnicity from all over Indonesia and see various crafts and performing arts. 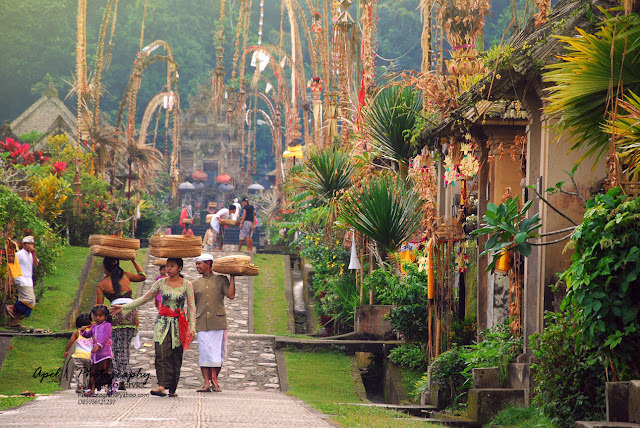 From the cultural village and going through Chinatown, visitors enter the early Indonesia era. 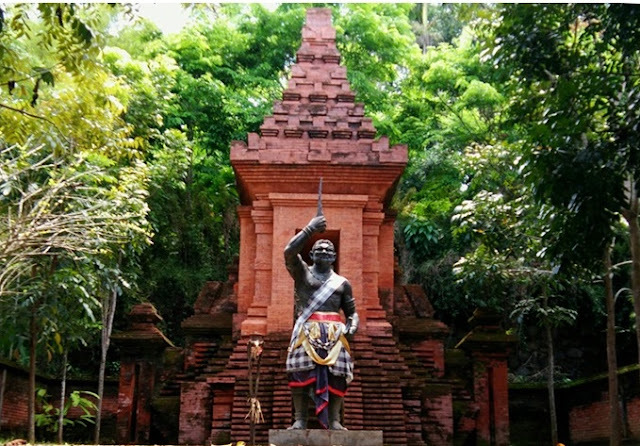 Once again visitors can experience a touch of Indonesia’s age of kingdom through a bronze figure of Gajah Mada declaring the “Sumpah Palapa” oath in front of Trowulan temple. Passing through the gate of “Sumpah Pemuda”, guests get a glimpse of revolutionary era, with the bronze figures of Indonesia’s first president and vice president declaring the nation’s independence. Visitors have the opportunity to observe the socioeconomic development of present day Indonesia through miniature train diorama, set against the backdrop of Indonesia’s cities and rural area. 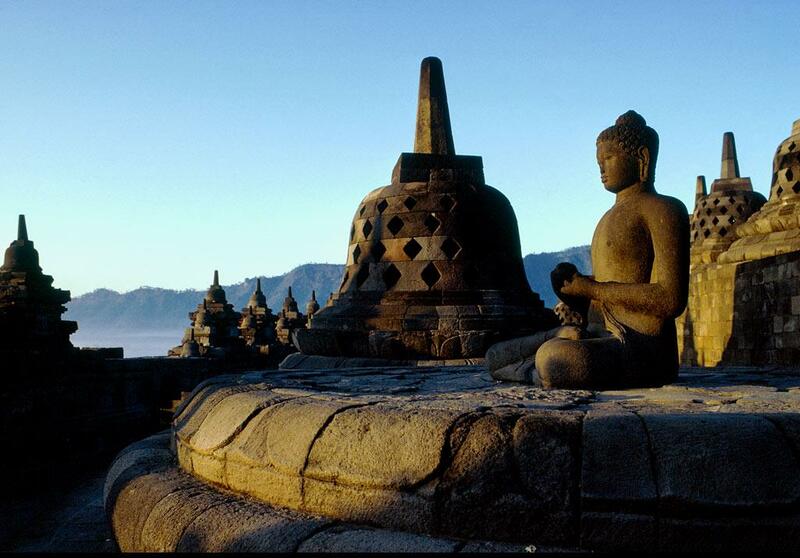 With one of its masterpieces in the form of Borobudur Temple. With more than 60 traditional houses, some of which are hundreds of years old. Visitors are given the opportunity to experience the modest village life of the diverse and distinct ethnicity from all over Indonesia and see various crafts and performing arts. With the statue of Prime Minister Gadjah Mada, the Trowulan Temple and the Gate of Sumpah Pemuda. With the statues of President Soekarno and Vice President Hatta, who read the Proclamation of Indonesian Independence. 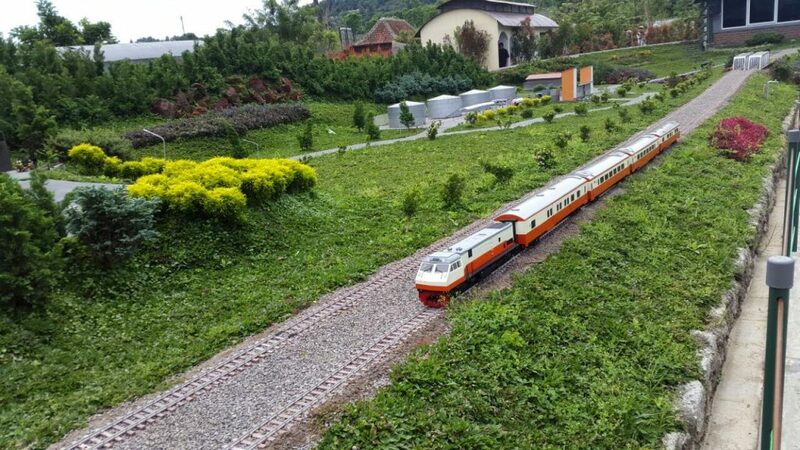 Present day Indonesia is shown through miniature train diorama in HO scale (1:87) in a 200m2 area, set against the backdrop of Indonesia’s cities and rural area. The exhibit will be comprised of over 50 locomotives along with 300 passenger and goods carriages. 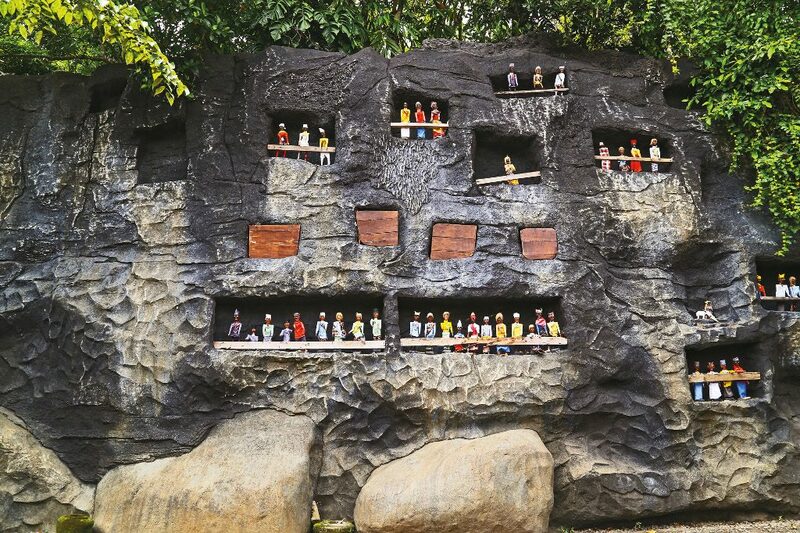 This area has a library and three museums that showcase the various cultural heritage and legacy of the nation such as wayang, batik, weaving and embroidery. The location of Taman Nusa Bali is located at Jalan Taman Bali, Banjar Blahpane Kelod, Sidan Village, Gianyar Regency, Bali. Nearby attractions are Tegenungan Waterfalls, more beaches, safari parks, siyut beach, and purnama beach. 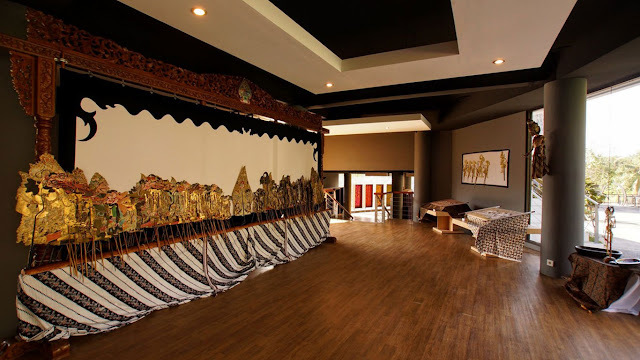 The location is close to other tourist attractions such as tourist areas in Ubud. You who come from the city of Denpasar only takes about 30 minutes. 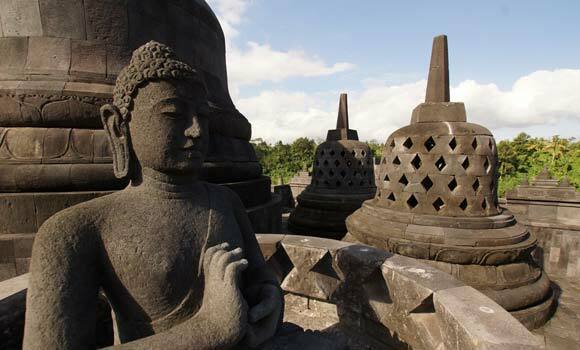 And with two alternative ways that is through the path of Ida Bagus Mantra By Pass and through Gianyar City. 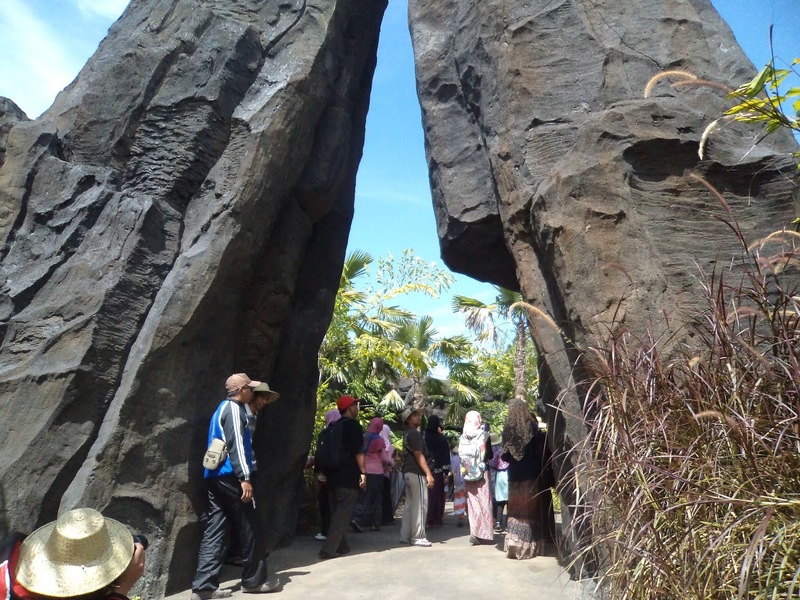 Since it opened on July 10, 2013, Taman Nusa is often visited by school tour participants as well as tourists. 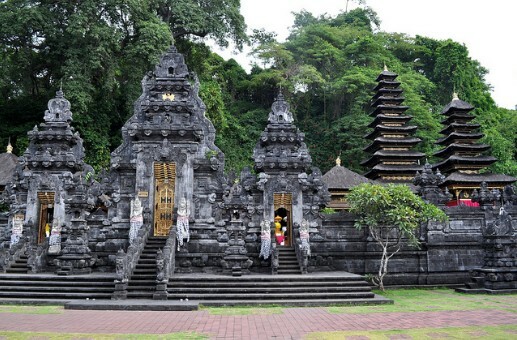 Pura Goa Lawah Klungkung is known as one of the six important temples in Bali. Five of them are Lempuyang Temple, Uluwatu Temple, Andakasa Temple, Batukaru Temple, and Silayukti Temple. 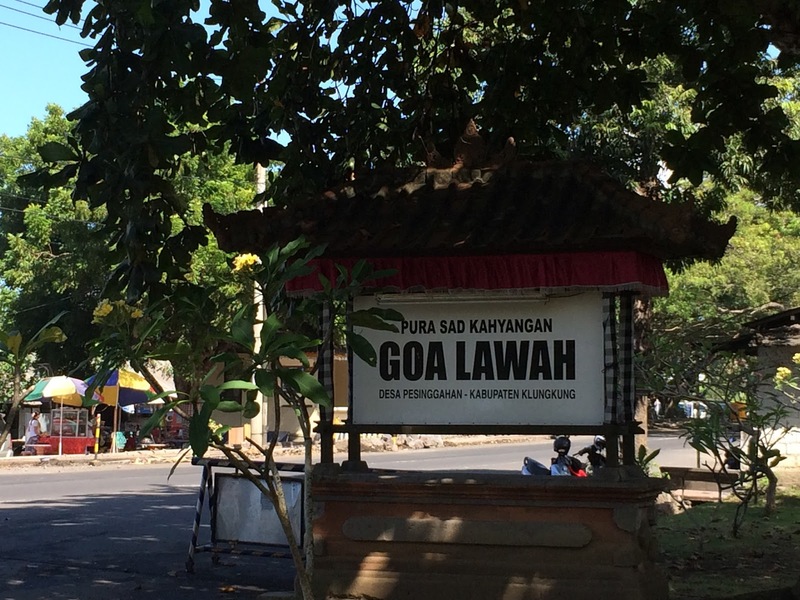 The name Goa Lawah consists of the words goa and lawah. Goa means cave, while Lawah is in Balinese language which means bats. 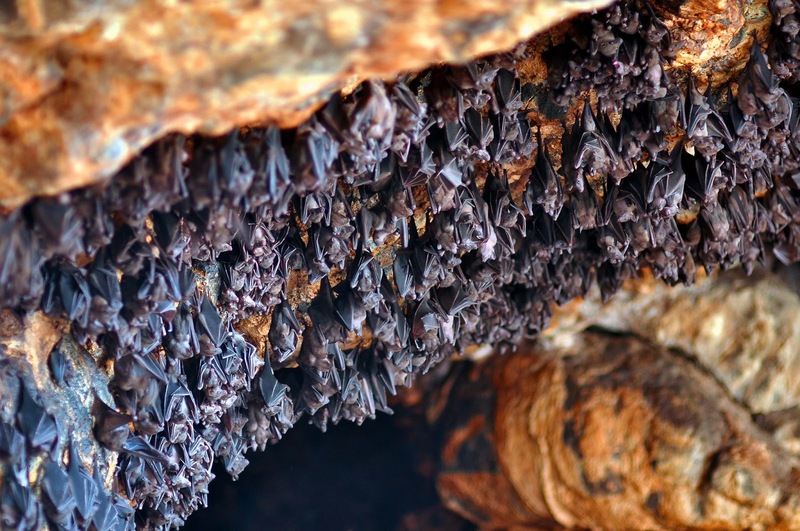 So Goa Lawah Temple is a temple inside the temple there is a cave that is inhabited by thousands of bats. The view in the temple is very distinctive and unique. The uniqueness of Goa Lawah Temple is located inside the cave under shady trees and inside the walls of the cave mouth there are many bats hanging. Inside the cave mouth built several places of worship. The big ceremony at this temple is held every six months. In the Balinese calendar called Anggarkasih Medangsia day. Regarding the history of Goa Lawah Temple, it is not known exactly when and who built this temple. According to research experts, the history of this temple was built in the 11th century on the idea of Mpu Kuturan. The temple stands in a meeting area between the beach and hills with a cave inhabited by thousands of bats. In some lontar, at first glance there is an outline conclusion that large temples with Kahyangan Jagat and Sad Kahyangan status in Bali were built by the famous priest, Mpu Kuturan in 929 Saka or 1007 AD. This is evidenced by the mention of Goa Lawah Temple in Mpu Kuturan lontar. As collected by the Culture and Tourism Office of Klungkung Regency which is currently preparing to publish a book about Goa Lawah Temple, told, Mpu Kuturan came to Bali X century when the government was led by Wungsu Son, King Airlangga's younger brother. Airlangga itself ruled in East Java (1019-1042). When it arrived, Mpu Kuturan met many sects in Bali. Seeing that fact, Mpu Kuturan then developed the concept of Tri Murti with the aim of uniting all these sects. Mpu Kuturan's arrival brings a huge change in the region, especially teaches the Balinese people how to make a worship of Sang Hyang Widhi known as heaven or parahyangan. Women who are menstruating, is strictly forbidden to enter the temple area. Tourists are prohibited from climbing the existing stairs at the shrine. Tourists are expected not to walk in front of people who are praying. No smoking in the temple area and forbidden to throw the sampang carelessly. Location of the Goa Lawah temple is located in the area Pesinggahan village, Kec Dawan, Klungkung regency, located about 10 km to the east of the city of Klungkung or approximately 50 km from the city of Denpasar. 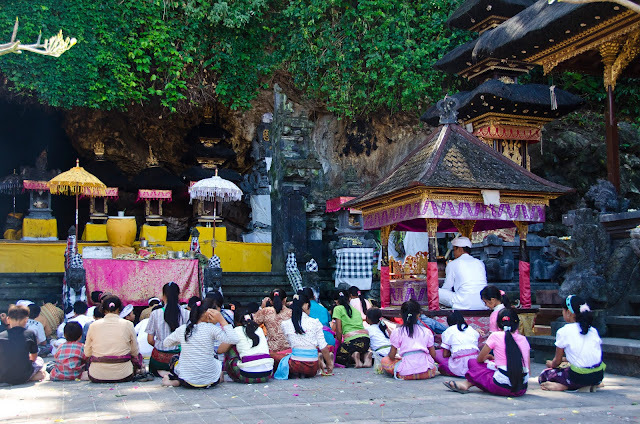 If you depart from the tourist attractions of Kuta Bali, then to reach the location of the temple will travel a distance of 55 kilometers with an estimated travel time 1 hour 25 minutes. The location of the temple is also located one lane with a tourist attraction Candidasa, about 19 km east of Goa Lawah. 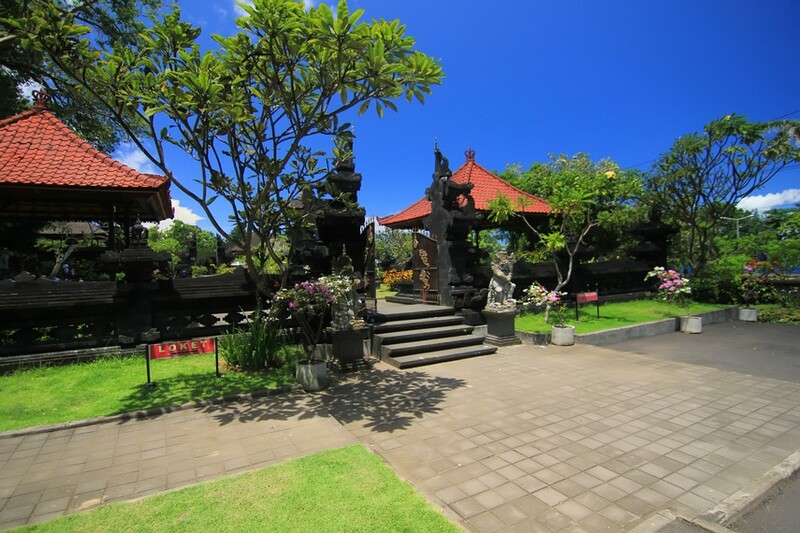 In addition, the location of this temple is also adjacent to the tourist attraction Kerta Gosa Bali. Goa Lawah Temple is located across the coast and entering the hills, a temple is also built on this beach called Segara Temple. Segara Temple is a temple of the surrounding community whose livelihood is mostly as a fisherman to worship God as Bhatara Baruna or the God of the Sea. Other than that In this place also famous as a place of fishing, the fish are said to be more savory than the fish that exist in the coastal areas of the South or West, fish in the area here is also said to feel more tasty than the fish in the coastal area of the south or west. That's why along the curb in this area there are many restaurants that offer a list of processed foods from fish, which is served in the form of grilled fish, fish pepes, satay, fish soup, plecing vegetables, Balinese raw chili, complete with rice and coconut ice. You can try the lunch in this area. 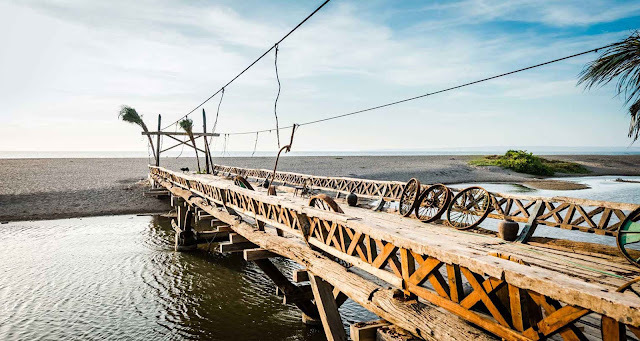 Kayu Putih Beach is one of the famous beaches because it is often used as a place for filming on local television shows, in one scene there is a scene scene with a wooden bridge background that stretches over the lagoon to the beach. Because the wooden bridge connecting the lagoon and the beach is shown on the movie scene there are many visitors, especially among young people visiting wooden bridges, especially in the afternoons to be able to take pictures with beautiful scenery. Kayu Putih Beach is a lagoon that has the original name loloan Yeh Poh (meeting between freshwater river with sea water). At high tide, Yeh Poh loloan looks like a lake. To cross the lagoon was built a wooden bridge that stretches from the lagoon to the sand beach. This beach previously has no name. 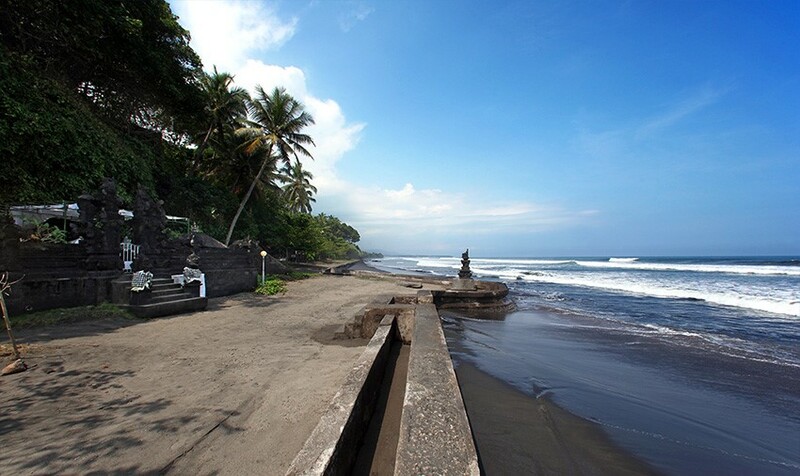 Because the location of the beach adjacent to theTemple shrine of Balinese Hindus named Kayu Putih Temple Canggu, then this beach is named Kayu Putih beach Bali. Address Kayu Putih beach located at Jalan Pura Kayu Putih, Banjar Tegal Gundul, Tibubeneng Village, Canggu - Bali. Kayu Putih Beach Canggu Bali is located adjacent to Berawa Canggu beach (one of the surfing beaches in Bali) and Batu Belig Seminyak beach. KayuPutih Beach Tour in Kuta Utara Badung Bali is a must-visit tourist destination because its beauty is unbeatable. The local residents of Pantai Pantai Putih beach in Kuta Utara Badung Bali are also very friendly towards local tourists as well as foreign tourists. Badung city is also famous for the Beach Tour. 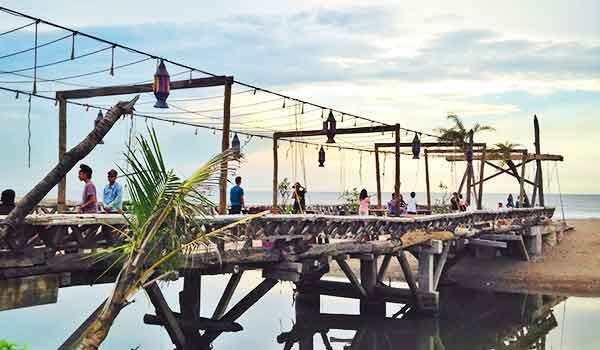 Wooden bridge located on the beach tourist attraction kayuputih canggu Bali is actually functioning as one of the place access restaurant La Laguna Canggu, if visitors come from Berawa canggu beach. 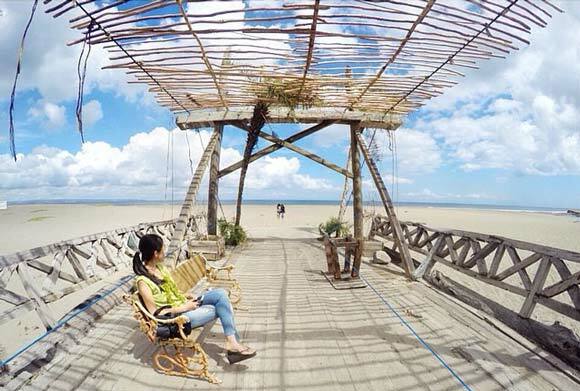 Most visitors who intend to vacation to Bali kayuputih canggu beach is because taking a self portrait with the background of the beauty of wooden bridge. The view of the sunset also looks very beautiful and beautiful from kayu putih beach, If you want a holiday in August, then time to visit this eucalyptus beach of Bali, because the location of the tour will be a kite-making festival. Broad access road to Kayu Putih beach Bali is not too big, sometimes only passable by one car, so it is advisable to use motor transportation. However, for those of you who still want to use the car, it's good to look for car rental services with drivers in Bali. So, when looking for a parking space will be your driver's duty. Suggestions and tips before heading to Kayu Putih Beach Tour, which monitors the weather in advance so as not to hinder his vacation. You need to prepare needs that will require such as bringing supplies, drinking water and more. And some extra items like cameras because you want to capture the moment with your family or friends. The beauty of tourist attractions in Bali, not merely served by the natural beaches, but also rural nature, terraced rice fields including hills. Ulun Danu Beratan Temple is a Hindu shrine located at the end of Lake Beratan, located in the tourist area of Bedugul, Candikuning village, Baturiti district, Tabanan regency, Bali. With a distance of approximately 56 km from the city of Denpasar bypassing the highway Denpasar - Singaraja. 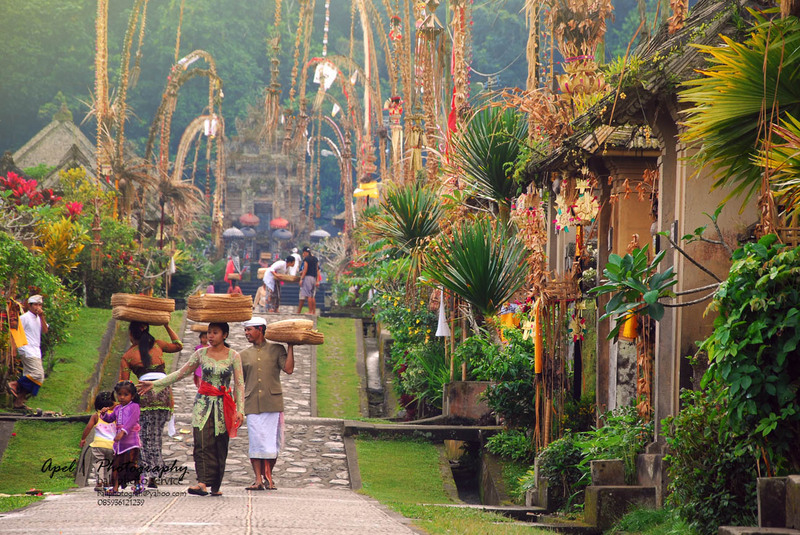 Penglipuran Village, indigenous village of Bali which is very thick with their harmony and togetherness. The village is located in the village camp, Bangli district, Bangli-Bali district. This village has been awarded Kalpataru award. Kalpataru is an award given to individuals or groups for their services in preserving the environment in Indonesia. Kalpataru itself is Sanskrit meaning tree of life (Kalpavriksha). Besides earning the Kalpataru award, Penglipuran village was also designated as a tourist village by the Bangli regency government in 1995. 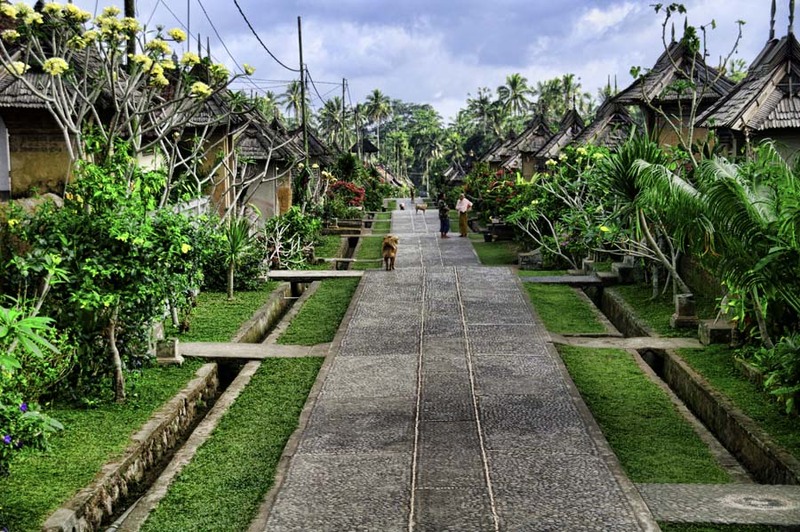 Since then, the village has been increasingly visited by tourists who want to know how the wisdom that happened in this Penglipuran village. According to the surrounding community, the word Penglipuran is taken from the word Pengeling Pura which means the sacred place meant to commemorate the ancestors. Discussing his ancestors, it turns out the people who live in this village are very high mandate of their ancestors. Evident from the formation of Penglipuran village highly prioritize this harmony. The most striking feature of this village is that the traditional architecture of this village has the exact same architecture from one end of the village to the other. This uniqueness makes the village of Penglipuran very beautiful with a very neat symmetry arranged between 1 house with other house. The gates in each house facing each other are only limited by the small main road in the middle. This gate is called Angkul-angkul (typical gate of Bali) which also has the same architecture with the angkul-angkul every house in this village. The main road in the village of Penglipuran leads to the main part of the village which is at the highest peak. First you enter the area of this village, you will be served a very cool and fresh atmosphere, it is because the area is located 700 meters above sea level. In addition, the village is cool due to the absence of pollution caused by motor vehicles in the Penglipuran village area. 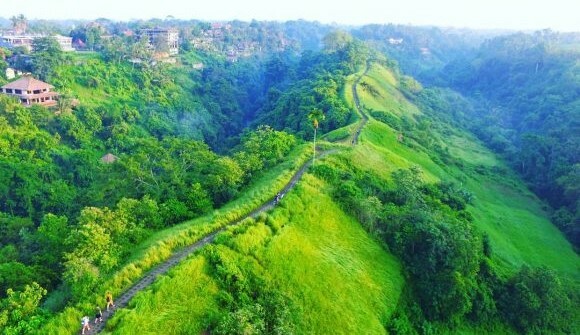 The whole village is about 112 hectares, not too tired if you walk through this village on foot while enjoying the beauty around the Penglipuran village. In the vicinity of this main road, you will not find scattered rubbish that pollutes this place many trees that are growing around the road. Quite the contrary, these streets are clean aid. So if you want to keep trash in this area, think a thousand times to do. In addition, in every corner of this village there will be a lot of garbage provided to accommodate garbage. If you want to travel to this dasa, there is a reason you travel near the galungan holiday or after the galungan holiday. 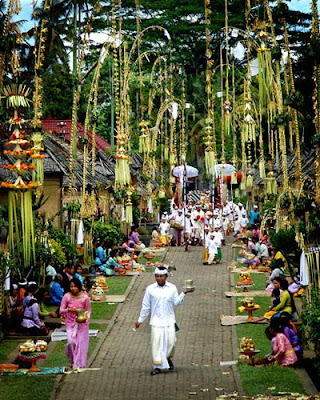 Galungan holiday is a big Hindu religious holiday in Bali which is commemorated every 6 months. At that day, you will see the jail of penjor (means of hindu pak bamboo long tried its end that likes and plugged in front of the yard of the house) that weld every house in this village. There will be bali girls dressed in Balinese customs who bring banten to the temple. 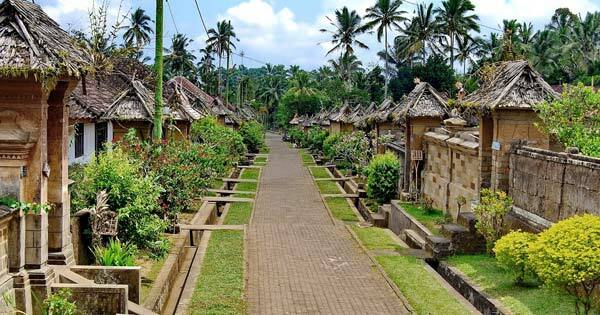 The physical arrangement of this village has been handed down from generation to generation by their ancestors, the people of Penglipuran village are always full of Balinese philosophy called Tri Hitakarana 'falsafas. This philosophy requires us to always harmonize the relationship between man and his neighbor, man with environment and man with god. Besides having a culture of respect for nature, Penglipuran Bangli villagers also have cultures and traditions to respect women. Due to the existence of village rules that forbid men to do polygamy, if caught doing polygamy then will get the punishment ostracized from the village. The village also has a culture of punishment for theft. For those caught stealing, will be punished to give offerings of five chickens with different color of chicken feathers in their 4 ancestral temples. In this way, all villagers will know who steals, will certainly create a shame effect. The last or third zone is called setra or grave. 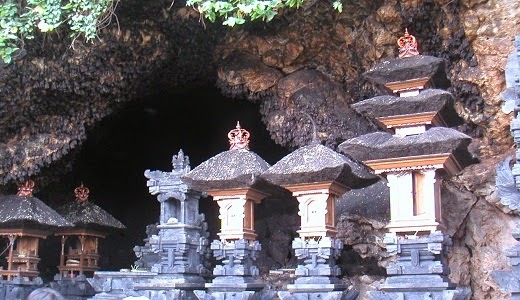 Although the villagers of Penglipuran Bali embraced Hinduism but Penglipuran Bangli villagers did not know the cremation ceremony, so the corpses were buried. Penglipuran Bali villagers have a special drink called loloh cemceman, this drink has a taste like water tape and has a green color because the basic ingredients are the juice of cemceman leaves.